Animation studio Golden Wolf, headquartered in London, has launched its first stateside location in New York City. The expansion continues an eventful year for the shop, which in May aligned with animation/VFX/live-action studio Psyop, a minority investor in the company. Golden Wolf now occupies adjacent studio space in SoHo to Psyop and its sister company Blacklist, which formerly repped Golden Wolf stateside and was instrumental to the relationship. Among the year’s highlights from Golden Wolf are an integrated campaign for Nike FA18 Phantom (client direct), a spot for the adidas x Parley “Run for the Oceans” initiative (TBWA Amsterdam) in collaboration with Psyop, and Marshmello’s “Fly” music video for Disney. Golden Wolf also received an Emmy nomination for its main title sequence for Disney’s “Ducktales” reboot. Heading up Golden Wolf’s New York office are two transplants from the London studio, executive producer Dotti Sinnott and art director Sammy Moore. 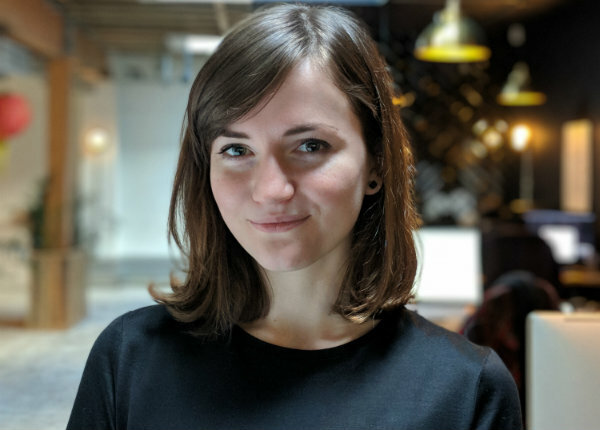 Both joined Golden Wolf in 2015--Sinnott from motion design studio Bigstar where she was a senior producer, and Moore after a noteworthy run as a freelance illustrator/designer in London’s agency marketplace. Founded in 2013 by Ingi Erlingsson, the studio’s executive creative director, Golden Wolf is known for youth-oriented work--especially content for social media, entertainment and sports--which blurs the lines of irreverent humor, dynamic action and psychedelia. Erlingsson was once a prolific graffiti artist and later, illustrator/designer and creative director at U.K.-based design agency ilovedust. Today he inspires Golden Wolf’s creative culture and disruptive style fed in part by a wave of Next Gen animation talent coming out of schools such as Gobelins in France and The Animation Workshop in Denmark.